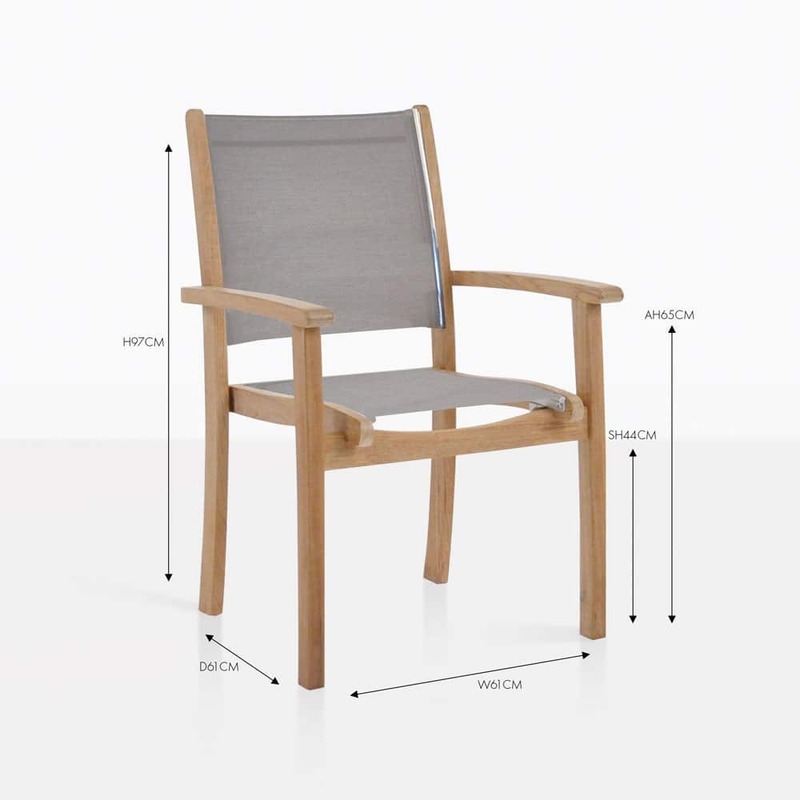 The soothing colour of taupe with A-grade teak and high quality marine grade stainless steel make this chair and excellent selection for indoor or outdoor dining. The construction of the Tango Stacking chair is of the highest quality. 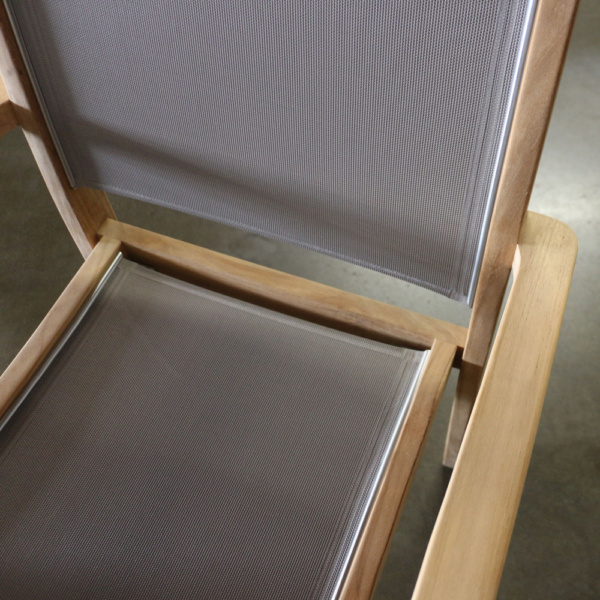 The support of the Textilene® mesh is sturdy yet comfortable so that no cushions are needed. 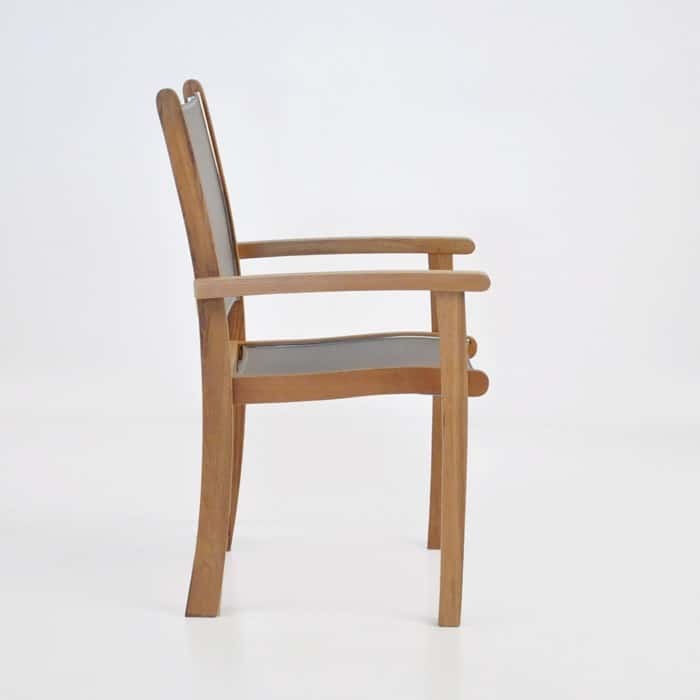 The simple elegance of this chair will compliment many different styles of dining tables. The A-grade teak borders the outdoor mesh for a tailored look. 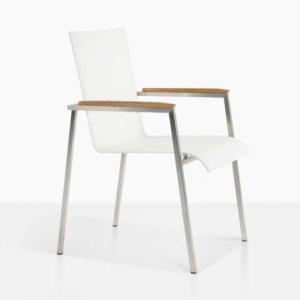 The visible marine grade stainless steel adds sophistication and makes this chair extremely durable. The Tango chair is strong and substantial without being over sized or bulky. Pair two with one of our smaller A-Grade teak tables for an intimate setting or Gather 8 or 10 around one of our grand Blok concrete tables. It’s versatile style and easy stacking ability make this chair a favourite for many. 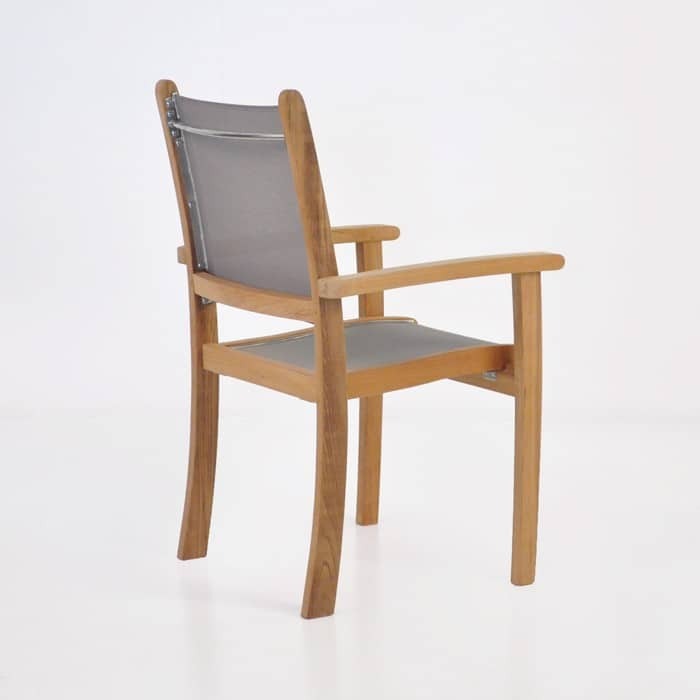 The chair is available in taupe as shown as well as white or black. Dream and start designing your new dining set today!